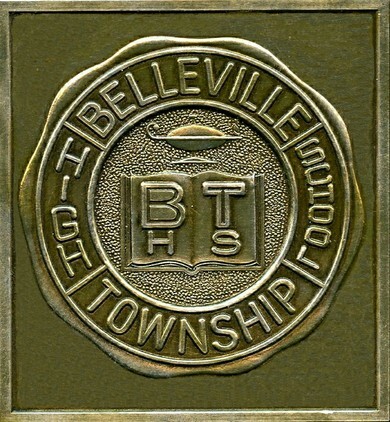 Welcome to the updated website for Belleville Township High School Class of 1962 classmates only. Everyone who was ever a member of the Class of 1962 during our high school years is welcome, including those who moved away before graduation, who finished at another school, whose graduation was delayed or who did not graduate. All links on the left side of this page are password protected. None of the links across the top are password protected, but the classmate profiles can only be viewed by members who are logged in. To view the password protected pages, you must be a registered member of this website and you must be logged in. You are not currently logged in to the website. If you are not a registered member of this website, click on the If You’re New – Start Here link at the top of the page and follow the instructions. This site is a lot of things, you might say it is “multi-tasking”. It isn’t about waistline, hairlines or credit lines. It’s about lifelines. It’s about reconnecting with our friends from some of the best years of our lives. It’s about caring for our classmates and their families. It was created to help promote, celebrate and reconnect with classmates. Your participation is essential for it to succeed. 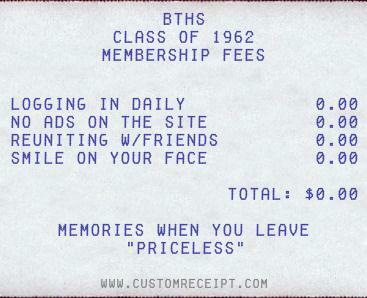 We need your photos, updates and memories to enhance the site. Your fellow classmates will enjoy hearing about you even if you haven’t attended a reunion nor kept in touch since high school. We ask that you please take the time to update your profile and maybe add a photo or two. Your additions will make this site fun, interesting and complete.